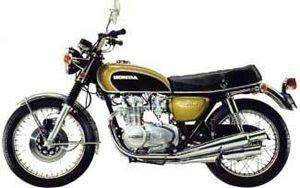 The Honda CB500K "Four" is a motorcycle produced by Honda from 1971 to 1974. 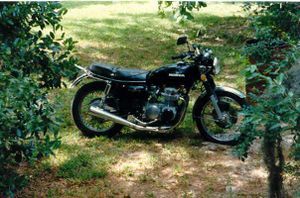 It was similarly styled to the CB750K, but smaller and lighter, with an output of 50 hp and a manufacturer's specified top speed of 102 mph. 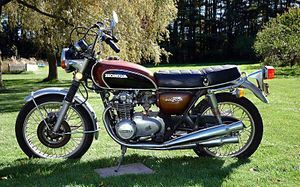 It was produced until 1973 with minor revisions each year. 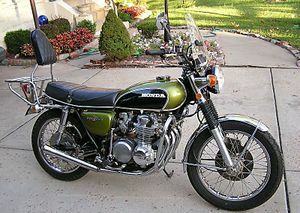 In 1974 it was replaced by the CB550K. 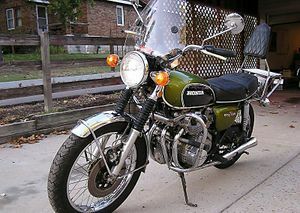 The Honda 500 Four designated CB500K0 (also called "Super Sport 500") was sold in 1971. Three colors were available: Candy Jet Green, Candy Garnet Brown, and Star Light Gold. The fuel tank panel was black. The exhaust was a 4-into-4 system. 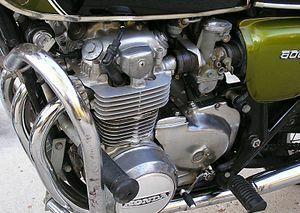 The engine was a 498cc SOHC inline 4-cylinder with 4 carburetors. The transmission was a 5-speed. 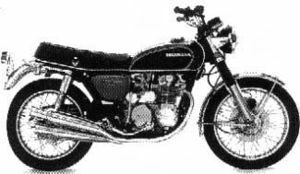 The serial number began CB500-1000001. 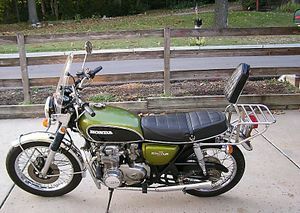 The CB500K1 "500 Four" (also called "Super Sport 500") was sold in 1972. It was available in one of three colors: Candy Jet Green (also called Candy Jade Green) with Black, Candy Garnet Brown with Black, or Candy Gold with Black. The gas tank panel was black. The exhaust was a 4-into-4 system. 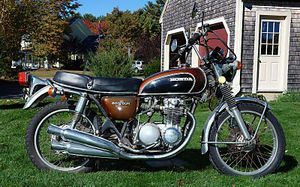 The engine was a 498cc SOHC inline 4-cylinder with 4 carburetors. The transmission was a 5-speed. 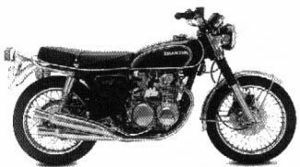 The serial number began CB500-2000001. 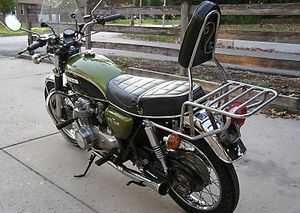 The CB500K2 "500 Four" (also called "Super Sport 500") was sold in 1973 in one of three colors: Candy Bucchus Olive with Black, Flake Sunrise Orange with Black, or Maxim Brown Metallic with Black. The gas tank panel was black. 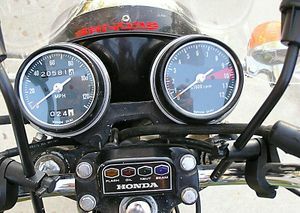 The instruments were enlarged and tilted toward the rider. The exhaust was a 4-into-4 system. 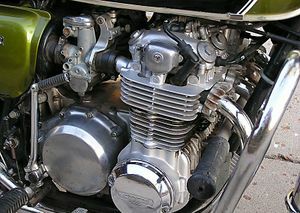 The engine was a 498cc SOHC inline 4-cylinder with 4 carburetors. The transmission was a 5-speed. 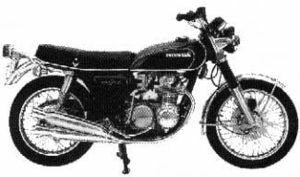 The serial number began CB500-2100001.